Using special technique to inlay the non-stick coating in honey comb pattern, M.Maison Black ComB stainless steel non-stick cookware is make perfect for every kitchen. The non-stick coating is scratch- resistant, hence making it safe to use metal utensil during cooking. 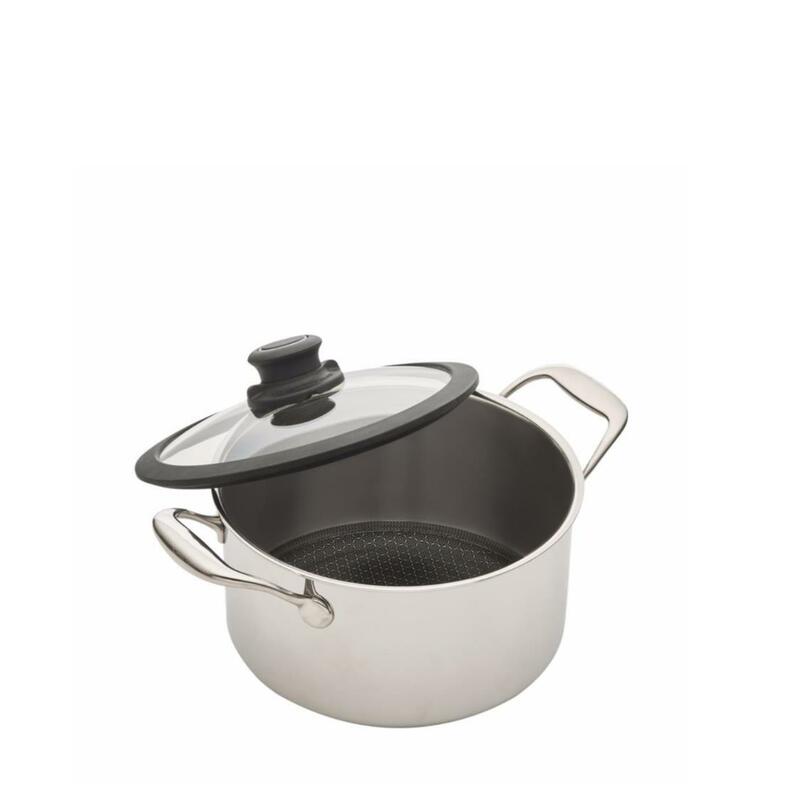 The 3-ply composite stainless steel body is durable and has great heat transmission ability.